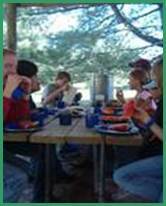 Camps are week-end stays, Saturday through Sunday. 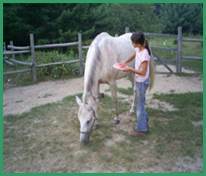 Camps consist of cabin stays with emphasis on nature and horses Cabins are comfortable and cozy, log-sided sleeping cabins. Gentle, well trained Horses. 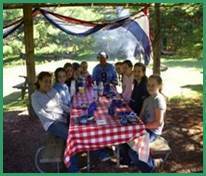 A Picnic Shelter and small lodge is used for meals and visitation. 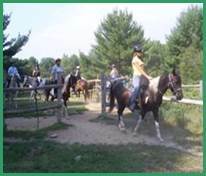 Campers learn about Nature and Horses. 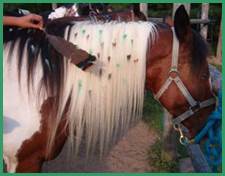 Interpretive use of painted symbols plus creative work with beads and feathers is used on the horses. 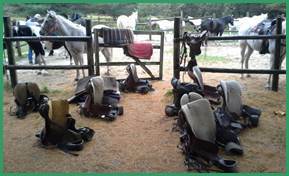 There is daily instruction of safe riding habits and skills. Riders will be supervised at all times. Full, nutritious meals and snacks will be served. Completion certificates will be issued at the end of the weekend. Email or call now to reserve a spot for your child. 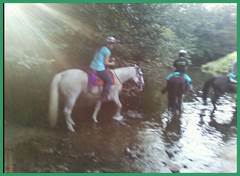 Total horse experience combined with outdoor camping. Lots of riding, fun and delicious food! Cost is $262 + tax per rider. #715-937-5652 or wpwpw@wildernesspursuit.com check out: Wilderness Pursuit on Face book. 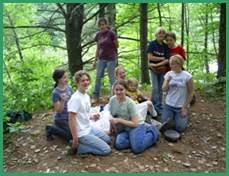 Ideal for Girl Scouts, Boy Scouts, YMCA’s, 4-H, Schools & Churches. 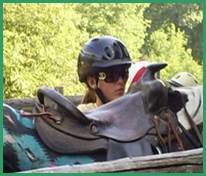 Come join Wilderness Pursuit in an exciting Horseback Adventure Camp! We are located in Central WI and will be starting our 36th season! 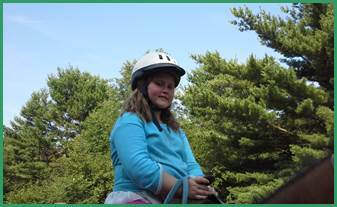 Designed with Scouts in mind, our camps will offer everything you need for your Scouts to work on their requirements for Horseback Rider’s Badges, or just to enjoy a total horse experience combined with camping and really good Food! We specialize in custom made trips, which means as a Scout or Camp Leader you can pick what type of Adventure you are looking for! We are family oriented and kid friendly. 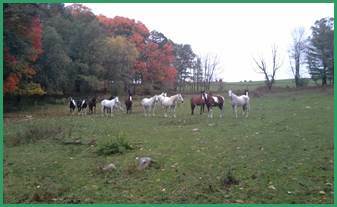 Our horses are the best! 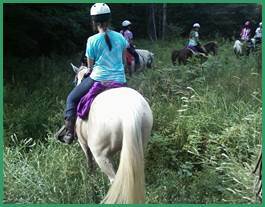 We offer many unique packages ranging from a 2-hour trail ride, to a 4-day Camp. 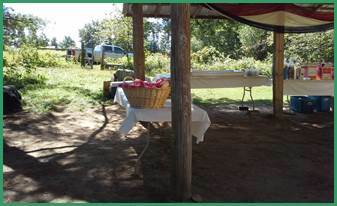 Many groups have provided their own meals and tents, but the staff would be happy to provide that for you, along with your own personal cook! We are very flexible and are willing to work with you to create just the right experience you are looking for! Wilderness Pursuit also can offer cozy, log-sided sleeping cabins! So if you are traveling and wish to pack light use our cabins!